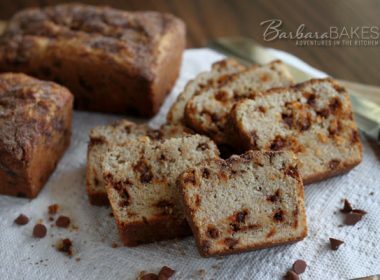 This year for my family Christmas party I was asked to make dessert – my favorite thing to make for any party! There were about 40 people coming to the party, so I had to make a lot of dessert. 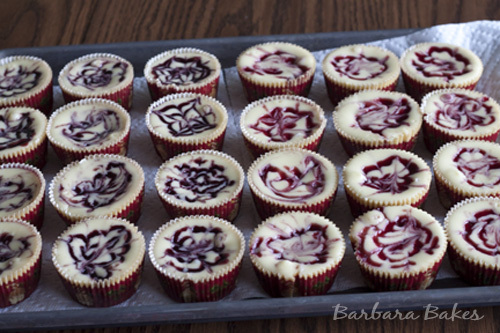 I love serving mini cheesecakes. 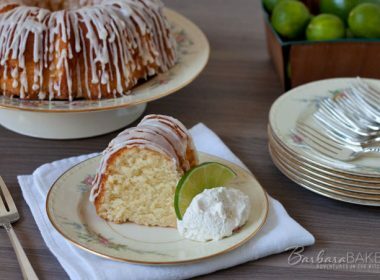 Everyone gets their own personal cheesecake, it’s easy to serve, and by baking a fruit swirl into the cheesecake, it’s already decorated and ready to eat. 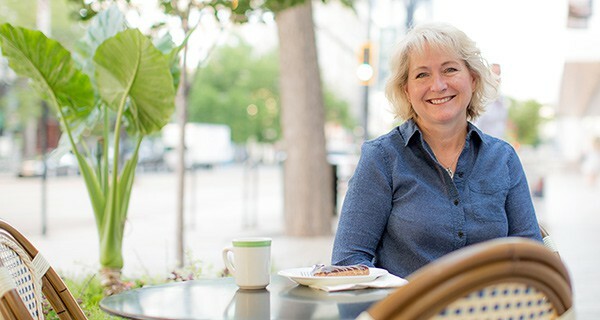 Walkers sent me a collection of their delicious, buttery shortbread cookies and I decided they would make a fabulous cheesecake crust. So I made 4 dozen mini cheesecakes; 1 dozen mini lemon cheesecakes with a Walkers Lemon Thins crust, 2 dozen mini raspberry swirl cheesecakes with a Walkers Raspberry Thins crust, and 1 dozen blackberry swirl mini cheesecakes with a graham cracker crust. 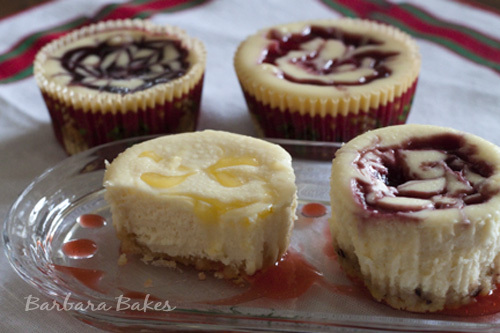 All the flavors were rich, creamy and fabulous, but the lemon swirl mini cheesecakes were my favorite. 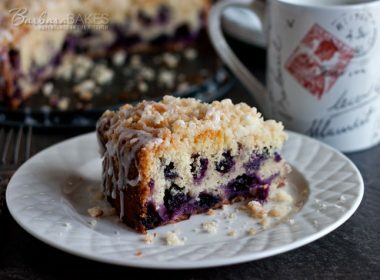 The berry/lemon swirl is easy to do. I just warm some jam/lemon curd in a baggie in the microwave. Trim one corner of the baggie and swirl the jam/curd on top of the cheessecake. Preheat oven to 300º. 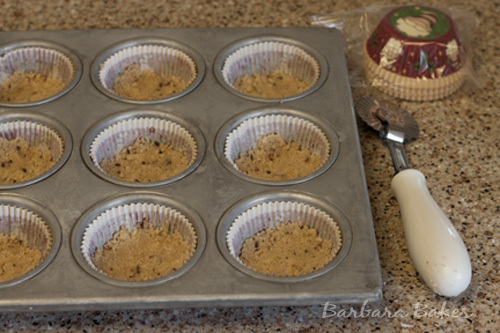 In a medium bowl, combined cookie crumbs, 2 tablespoons sugar and melted butter. 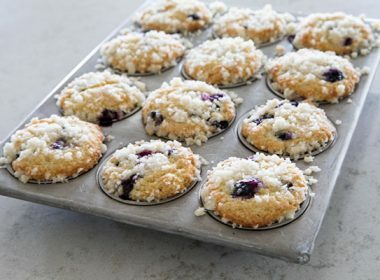 Divide crumbs evenly into 12 mini cheesecake or muffin cups. With fingers or round end of a wooden spoon, press crust down evenly. 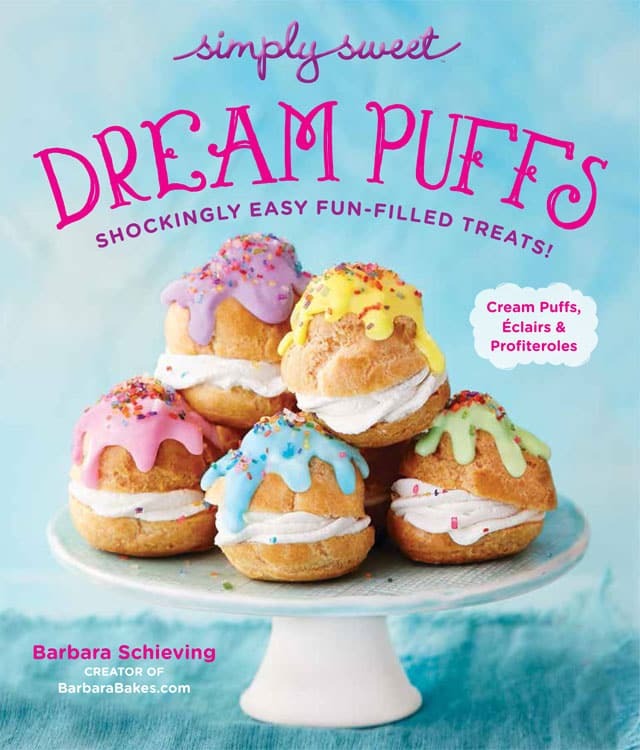 In a stand or electric mixer, beat cream cheese and sugar until well combined. Add in eggs one at a time following with the vanilla, sour cream, pinch of salt. Mix until just combined. 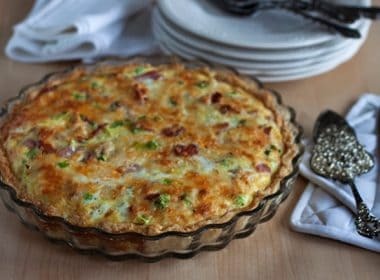 Fill each crust almost to the top with cheesecake batter. 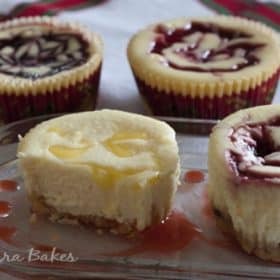 Pipe about a teaspoon of lemon curd on top of each mini cheesecake and swirl curd into batter with a knife or toothpick to make a pretty design on top. Bake for 18-20 minutes or until cheesecake is set. Remove from oven and let sit in pan at room temperature for 30 minutes before removing. 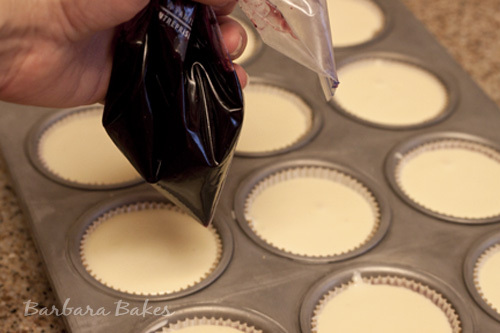 Transfer mini cheesecakes to a cooling rack to cool completely, another 30 minutes or so. Combine yolks, lemon zest, lemon juice, and sugar in a small saucepan. Whisk to combine. Set over medium heat, and stir constantly with a wooden spoon, making sure to stir sides and bottom of pan. Cook until mixture is thick enough to coat back of wooden spoon, 5 to 7 minutes. Remove saucepan from heat. Add the butter, one piece at a time, stirring with the wooden spoon until consistency is smooth. 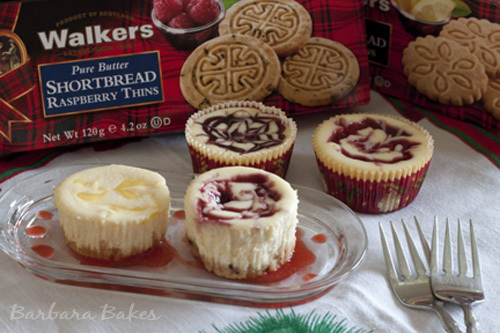 Berry Swirl Cheesecake: Use Walkers Raspberry Thins instead of Walkers Lemon Thins and substitute approximately 1/3 cup of seedless berry jam for the swirl on top instead of lemon curd. They look lovely. I’d have a hard time chosing a favorite. What gorgeous little treats! I love how easy they are to customize, too!! I’m with you, Barbara. I love individual desserts. And your cheesecakes look a delight!